to help raise fund in order to buy presents for the less fortunate children of Rumah Harapan etc. Have a look at the collection reviewed below, and don't forget to join their FB group! 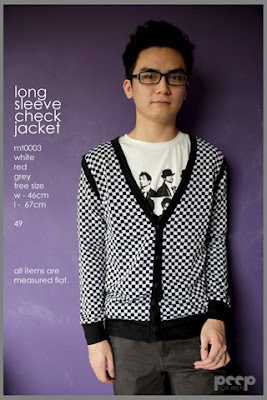 Men usually goes for basic colour, but with the checkered cardigan above, basic just turns a blast! 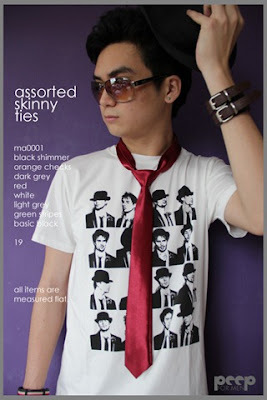 and for most young man skinny ties are cool, man. 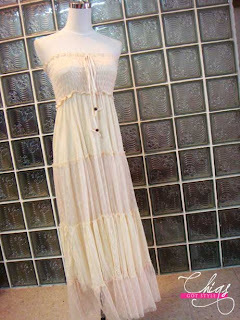 Lots of pieces that screams feminine and fun! Am loving the crumpled look skirt - it added more volume and give the appearance if skinny pins! and, lets not forget the all-time-favourite polka-dots. 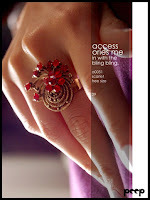 Various kind of accessories can be found here too! The owl pendant necklace is one of the cutest I have ever seen! Loving it! OMG this is soo prettyyy!!!!! Floral dresses and cardigan makes any girl sweeter. 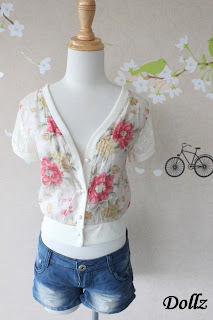 It would be nicer if the cardigan comes in longer sleeves though. 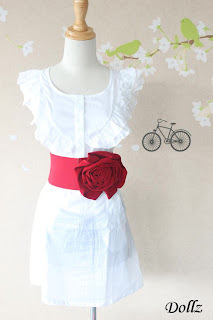 And I LOVE how the seller dressed that white dress with a bold red belt. Hope that one is for sale too! 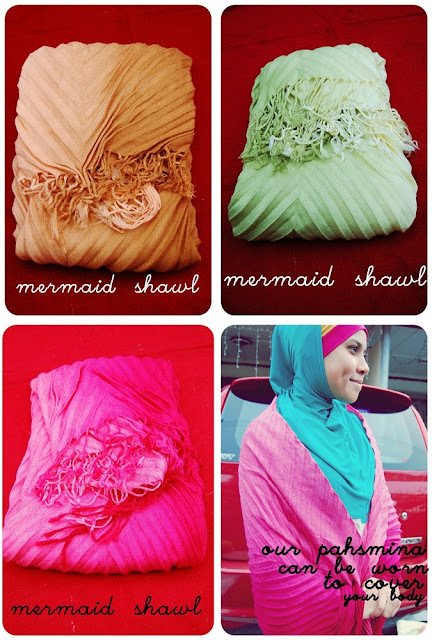 Mermaid pashmina is the new thing on the block! 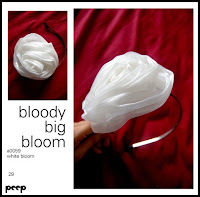 Comes in pretty block colours, can be worn over the shoulder or as hijab. The bracelets are two extreme kinds each, with unique features for each! And if you have a heavy bracelet on, why don't go for a simple statement necklace. Now now, These kinda scarf, you don't see them everyday, do you? The first one is called "Gypsy Scarf", kinda a new thing in town. And the plain coloured scarf with subtle detailing is just gorgeous. 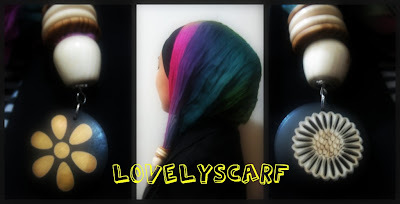 Someone with daring and vibrant personality can definitely pull these kind of hijab off, right? It juts show how colourful your personality is. Liz Clairborne Pop Tote Lunch Bag : RM100 this week!! Look at the bring popping colour of this tote! Would be a nice everyday bag, don't you think? 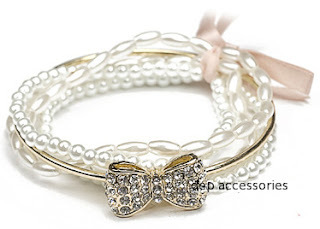 Sophisticated, chick, girly or flirty, you pick! Go for basic colour, with a little twist of polka dots or stripes. A LBD with shoulder detail is just what you need right now! Who says you can't be a hippie and a rockstar at the same time? Play with these eco-friendly pendants and rock away! 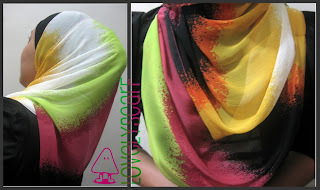 Match these shawls with plain top for best effect!